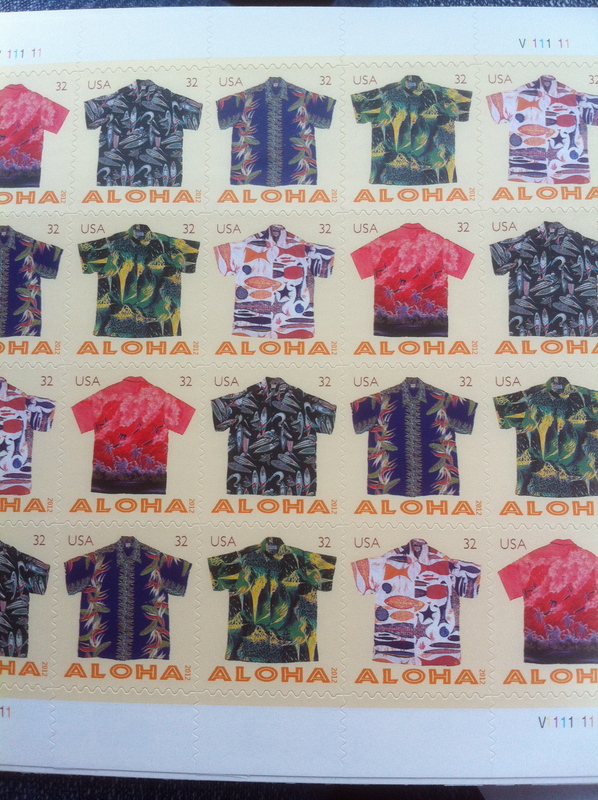 The United States Postal Service unveiled new 32 cent Aloha stamps this week in Honolulu, Hawaii. Governor Neil Abercrombie participated in the ceremony wearing, of course, an Aloha shirt. 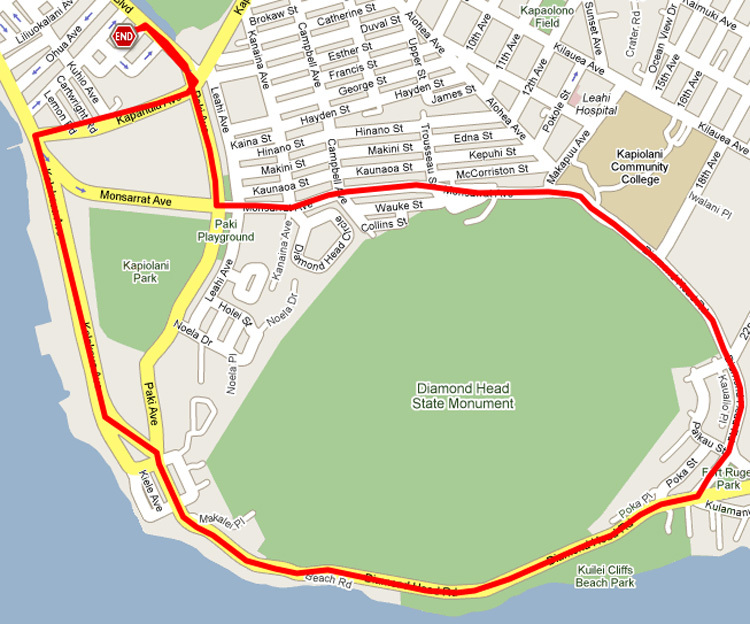 See the series of event photos on Facebook shot by Rick Li. According to the Post Office, Carl Herrman created these stamps using photos by Ric Noyle. 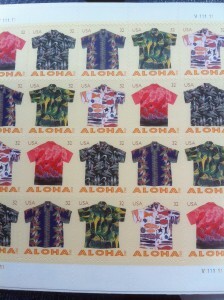 The five colorful Hawaiian shirts on the page range in hue and bold designs. The red shirt depicts Kilauea, an active volcano on the Big Island of Hawaii. The blue and orange shirt shows off exotic Bird of Paradise flowers. Two other shirts feature surf boards and surfers. The last shirt sports sea creatures. This is not the first stamp to feature Hawaii people or places. 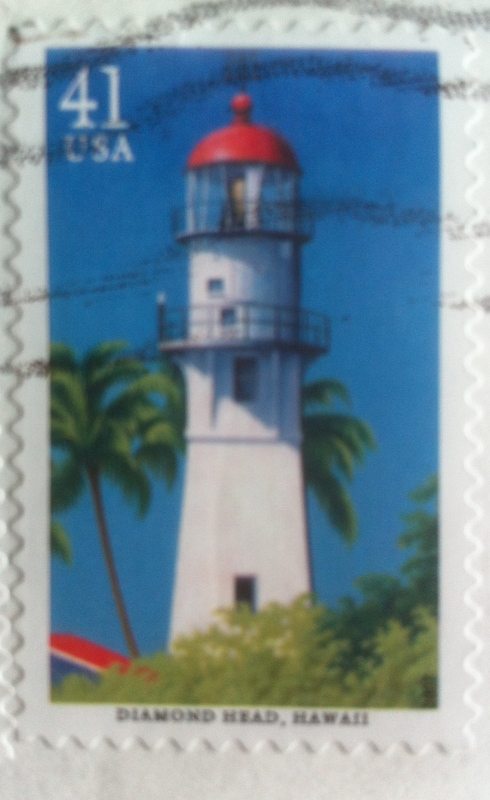 The 41 cent stamp pictures Diamond Head Lighthouse on Diamond Head Road just east of Waikiki Beach in Honolulu. These are just a few of the stamps featuring Hawaii people, places or lifestyle.